Solutions for hanging pictures in old plaster walls? Have you tried using heavy duty wall anchors? For smaller items these should do the trick. First drill a hole less than, or equal to the size of the anchor. You want it to fit in the hole snugly. Insert the anchor far enough so that it’s flush with the wall. You now have a hole ready for screwing. We used to put scotch tape on the spot of the nail. That helps prevent the plaster from being chipped out. For really big pictures, maybe you find the stud in the wall and put a nail in there. The old tried and true “Molly” anchor bolt…..
Comes in many sizes and styles…. 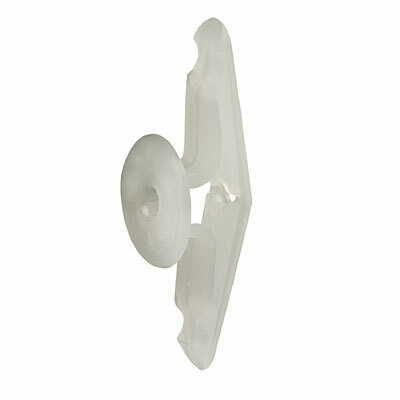 Ask you local Hardware dude for help…..
they are great when your plastic plug just spins in the soft plaster. How to get the smell of fish oil out? What has happened to my "water pressure"? How do i fix my main water shut off valve? How do you keep a carved pumpkin "fresh? "?